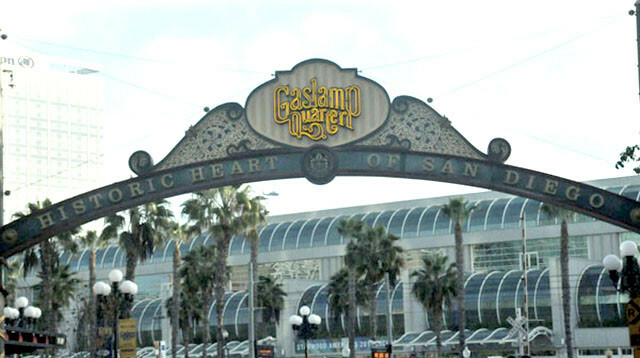 A 21-year-old Marine was arrested Wednesday on suspicion of starting a fire that resulted in $25,000 in damage to a restaurant in the Gaslamp District, authorities said. The blaze at Blue Point Coastal Cuisine at 565 Fifth Ave. near Market Street was reported around 1:45 a.m. and was quickly doused by the building’s sprinkler system, San Diego Fire-Rescue spokeswoman Monica Munoz said. Investigators determined that the fire was started in the back of the restaurant, which was closed at the time, by an allegedly intoxicated man who was not an employee of the eatery, Munoz said. The suspect came in through an open door, started vandalizing the restaurant and set a few fires in the back, Munoz alleged. Police identified the suspect as Austin Kokin, a Marine Corps corporal. He was arrested near the eatery and booked into the San Diego Central Jail on suspicion of burglary, arson, carrying a concealed dirk or dagger and vandalism, San Diego police public affairs Officer Billy Hernandez said. The sprinkler system did not turn off right away and water accumulated in the basement of the business, causing an estimated $25,000 in damage, Munoz said.